Photo courtesy of Loyola University Chicago The museum currently loses over $1 million a year and isn't utilized by students often, according to university officials. This has prompted discussion about potential changes to the museum, such as using the space for more events and less exhibitions. 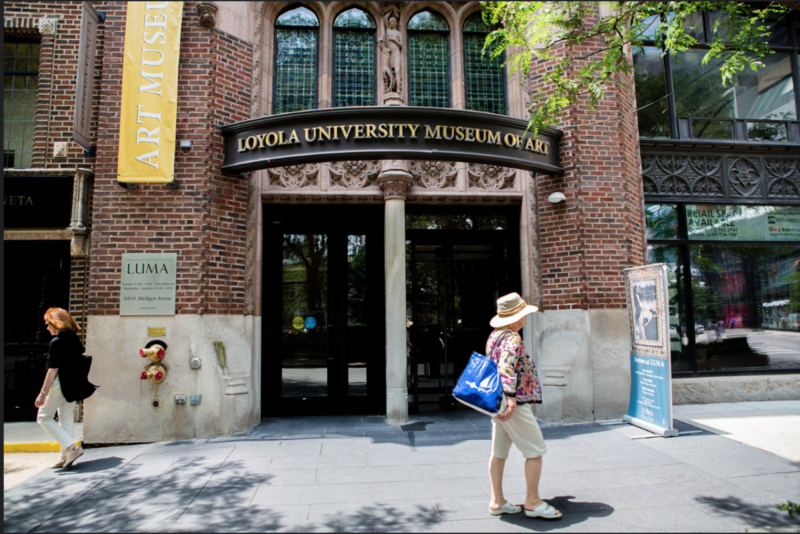 Loyola University Museum of Art (LUMA) could see changes in the way it’s run as soon as the next academic year, but for now, students and faculty are left hanging. Loyola administrators are considering using LUMA more as an event space and less for exhibits, which could mean reorganizing or eliminating positions, according to CFO Wayne Magdziarz. Loyola sophomore Emily Been, an art history major, said she found out about the potential changes to LUMA from a professor and is concerned about the future of the museum. “This [museum] has been an important resource for art history classes and especially for majors to have this museum. It’s very disheartening,” Been, 20, said. Magdziarz said it’s unclear what the future of the museum will look like and no general announcement has been made. The museum currently loses over $1 million a year and not many students utilize the space, which is why the administration is considering restructuring the museum, according to Magdziarz. Most of the money goes toward the nine LUMA staff positions, the rest is for exhibition costs, Magdziarz said. Emma Whitehorn, a sophomore studying art history, acknowledged some students might not know LUMA exists, but said the museum is still an important, unique place on campus. The museum’s former curator recently resigned, which prompted the discussions on the future of the museum. It’s possible a new curator will be hired, but it’s also possible the roles of current staff members will be adjusted instead, according to Magdziarz. Marilyn Dunn, an art history professor, said she’s seen multiple LUMA employees leave the museum over the past few years without their positions being replaced. All staff positions are reviewed when vacated and are no longer automatically filled, Magdriarz said. The museum will function as it has been until the beginning of the 2019-20 academic year and all previously planned exhibits will be shown. However, Dunn said she was supposed to speak at an event at LUMA planned for next year which has been cancelled due to the curator’s resignation. Dunn said the museum is important because it fits into Loyola’s mission of educating the whole person, and exhibits often promote social justice or environmental awareness. 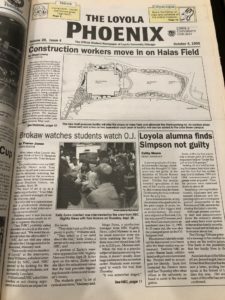 For example, in January, LUMA hosted an exhibit called “Folded Map” which shed light on economic and racial divides in Chicago, The Phoenix reported. The museum currently offers internship opportunities for students, which some say is a valuable resource. Been said some art history majors credit their post-college success to the time they were able to spend working at LUMA. Dunn said LUMA internships and jobs are unique because of the size of the museum and the experience students get from working there. Whitehorn worked as a student gallery manager at LUMA for more than a year. She said in the future, she would rather work as a curator, but found the experience helpful and enjoyed working there. Although Whitehorn said she was concerned about rumors that exhibits might become more limited, she thought reorganizing museum staff could be helpful. Matthew Groves, the director of fine arts, said he was a part of a committee last year which made recommendations about what should happen within the museum last year, but nothing came of the discussions. 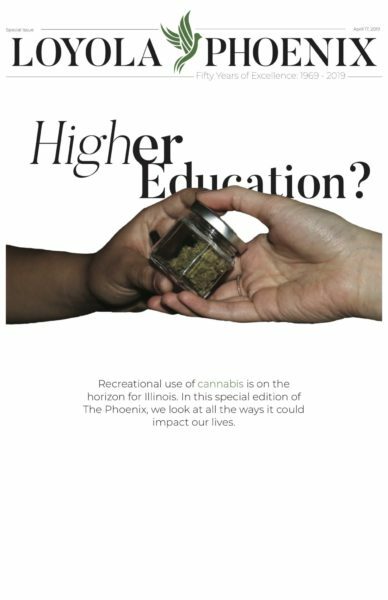 He said in the future, he hopes to see more collaboration between the fine arts department and LUMA, including more opportunities to present student work there. Natasha Ritsma, the previous curator, didn’t respond to requests for comment.